Time to get some culture today -- yogurt culture that is. 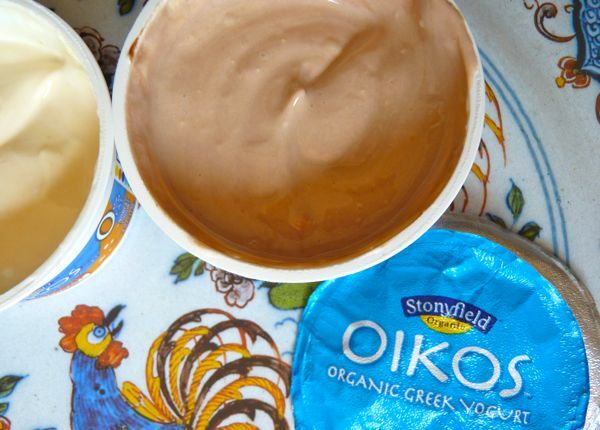 New Hampshire-based Stonyfield Farm is behind the Oikos Organic Greek Yogurt brand. Today I sampled two Oikos nonfat yogurt flavors: Chocolate and Caramel. 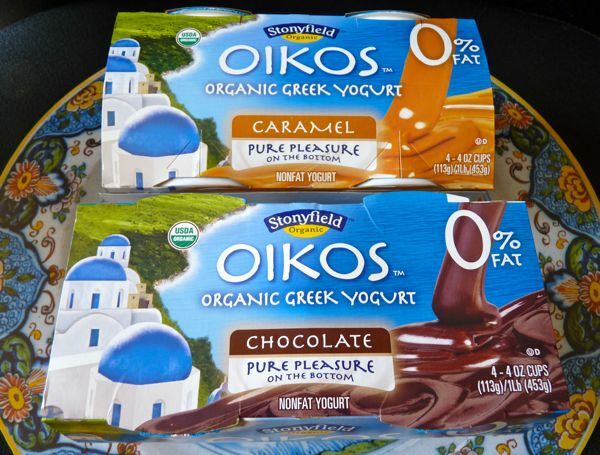 Chocolate flavored yogurt is a bit of a challenge in my experience. Fresh, unsweetened Greek yogurt topped with dark chocolate shavings, dried figs and toasted walnuts is my favorite rendition of this flavor; and it's unfair to compare a custom favorite with any standard item purchased in a grocery store. 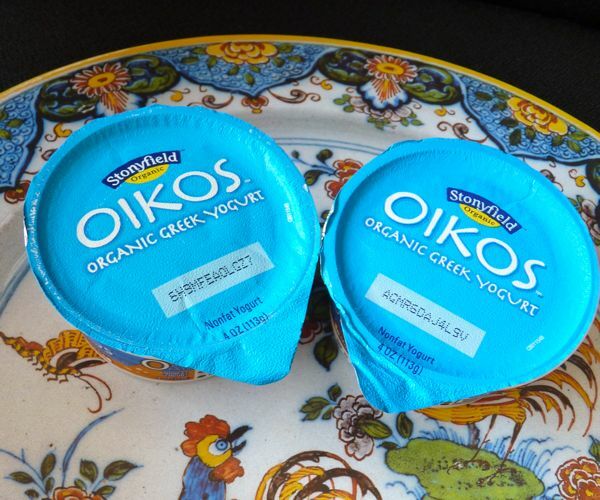 But, you could gussy up your Oikos yogurt with your own toppings. Hats off to Stonyfield for their contribution to their contribution to sustainable and organic practices on a large scale over time. Today was Day #1 of Chocolate and Caramel Theme Week.